Named to honor Red Sox legend and Massachusetts native, Tony Conigliaro, we combine contemporary American comfort food and the highest quality HD audiovisual system. Fan and family friendly, Tony C's offers house made dishes and the ultimate viewing experience. The food was fantastic and the service was excellent! Great food and great service! Nice beer selection! Will be back again! Had dinner there last night. It was a lot of fun. Sat at the bar and had a great experience , Every thing was very good. Will definately return. the food was amazing ! This bar was excellent. With great customer service. Server was great-she knew her menu and very attentive to our needs. We ordered grilled steak tips and a fish sandwich and it was cooked well. It was not burnt. We had a good view of the Mystic as well. Great food and service, but very high noise level. Food was good. I've been there before and will go back. Not being a sports fan I was wary of Tony C's. I was won over by the good pub style food. I got teriyaki steak tips and they were cooked as I requested. My husband got the fish tacos and said they were tasty. We split a bottle of beer and the waitress was nice enough to to serve it in two glasses. Staff was friendly and attentive. My only question would be, with all those TV's, why can't one be tuned to HGTV? ;)))We would go back again. Food was great. Manager and waitress were great. No complaints whatsoever. Awesome atmosphere and great food. Despite being a giant sports bar chain, the food options were excellent and reasonably priced and the waiting staff was absolutely superb...especially accommodating when considering there were seven of us! Great job guys! Love tony cs! Its never disappointing! Loved the menu! It is much more upscale than your typical sports bar. My boyfriend and I were very happy with our meals. We will be back! Nice to have a gift and easy to use I like it! The food was excellent! I had the Winter Salad and my friend had the Hamburger on a gluten-free bun and sweet potato fries. We were very pleased with our lunch, the waitperson, the atmosphere, the disco lighted restroom mand the overhead music. Really great menu, great staff and an open and beautiful space. Most TV's of any sports bat I've recently been in! Service was great and the food was delicious. Thank you! Great food and sports bar. Great food and a good atmosphere!!! Not to sound ungrateful but the Nift used to be more money. $10.00? Not much. Great service, good food and beer selection. Waiter was great and very polite to me and my child. Fun sports bar atmosphere with good food and a decent tap list. Tuna melt was delicious! Great place to watch the sox game! Their buffalo chicken mac and cheese was amazing! Great service and quality, tasty food served in a timely manner with a variety of beer (and cocktail) options. Will definitely go again! the restaurant was great - good for watching sports and grabbing a great meal! Pleasant server, wonderful view, and yummy food in generous portions. The salmon had too much sauce on it, and may have been frozen. I've had fresher salmon but overall it was acceptable. Loud in there so hard to talk. My server, Camilla, was great. Very attentive but didn't hover. She let me linger as long as I wanted without feeling pressured. The food was good, exactly as I had ordered. Nice atmosphere. I got a table outside and there was light (current) music. Our server was great and so were the cocktails! It's fine. Very large and a bit noisy. Parts have lovely views. I had great service but ordinary food. This was great - love the location and the restaurant. The ONE downfall is that the nift doesn't mention that you have to buy food and drink in order to take advantage of it. I had ordered 2 drinks, hoping to use my $10 nift to cover it. The restaurant said that we had to also buy food in order to use the coupon - which means we ended up spending extra money (Really not saving anything...). First time using NIFT, it was so simple, thank you. Tony C's is a fun place to gather, a little loud, but otherwise fun, the food was good. It was really great to sit outside with a view of the mystic and enjoy lunch. The menu was great! The only feedback I would give would be to offer a brunch menu on the weekends. We went to Tony C's on a Sunday early afternoon and we really wish they had a brunch menu to look through. Tony C's is a spacious sports bar with plenty of TVs for optimal viewing, great food, and excellent prices. I was glad I tried it! Smooth checkout process. Hosts were friendly. Food was great ! Plenty of seats and a great place to watch a game. Food great and the service was perfect. TonyC's has a great atmosphere. Our server came over promptly. The food and drinks we're delicious and we would definitely go back. I have already recommended Tony C's to my brother and sister in law. The food was great, and the waitress was outstanding. 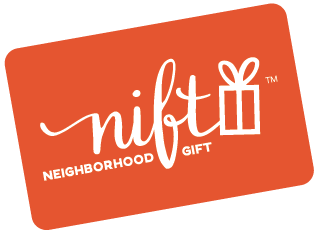 With the Nift card we enjoyed a free appetiser of buffalo wings. Wonderful experience! Took just myself out to lunch and had a lovely chicken wrap! My server was a joy! Thanks I normally don't do sports bars, it was a pleasure! Wait was only 15 min on a friday busy night. Food service was wicked slow though. Fun eating and drinking experience. Highly recommended. Staff was very friendly, and food was great. Food was ok but service was very good. great food, atmosphere and drinks!